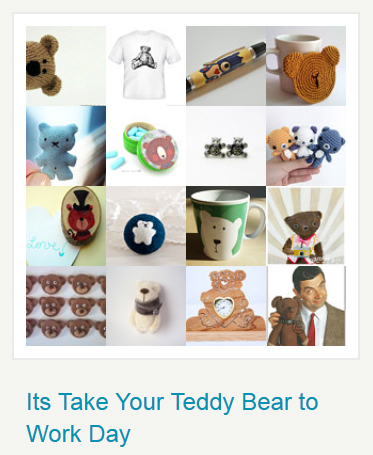 Some of the lovely treasuries of Etsy items created and curated by Rabbittude. 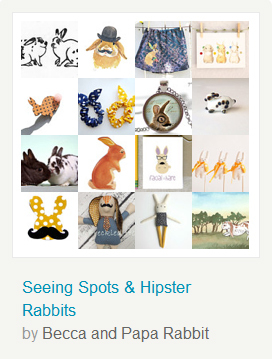 The Etsy Rabbits team has been hard at work today spreading the joy of International Rabbit Day by creating treasuries. It is a lovely way to let people know about team shops who are rabbit lovers and many are involved in or support rabbit rescue work. We have a dozen new treasuries from the last 24 hours posted on the International Rabbit Day 2012 events page. There are so many beautiful things you can check out if you are looking for gifts for others or wanting to create your own wish list! I hope everyone has been taking some time today to enjoy their own house rabbits or help others learn about what wonderful companions they make. Last year was the first year we had heard about International Rabbit Day. We spent that weekend a little more focused on enjoying Tigger and Shadow which was good since it turned out to be the last time we would have them with us to celebrate the day. This year we are celebrating having little Leo for the first time and having the opportunity to get to know him better with hopefully many years of celebrations ahead of us. Arrgggh! There are some things I can’t resist! I saw on Etsy that today is Talk Like a Pirate Day. I could not resist looking up all the great Pirabbit things I knew to be available and creating a showcase treasury for some of them. 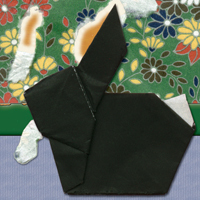 I have added this treasury and three other new ones to our page for 2012 International Rabbit Day page. Enjoy! The Etsy Rabbits team has been even harder at work creating some really lovely treasuries in honor of International Rabbit Day coming soon on Saturday, September 22nd. The number of treasuries on our new Events section page for 2012 International Rabbit Day page has doubled from 12 to 24! The treasury pictured on the left has items from just 16 members of the Etsy Rabbits team. The team currently has more than 300 rabbit loving members in countries around the world. You can click on individual treasury images and will be taken to the treasury on Etsy so you can view all the lovely items larger. Once you are over on the Etsy treasuries, you will be able to click on item images to be taken to the listing pages for the items if you want more info or to buy. The Etsy Rabbits team has been hard at work creating some really lovely treasuries in honor of International Rabbit Day coming soon on Saturday, September 22nd. I started out trying to Tweet them as they came along, but they got a bit ahead of me. 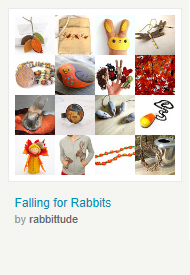 So to catch up and allow an easy place for people to follow, I created a new Event section here on Rabbittude with a 2012 International Rabbit Day page showing all the treasuries created so far to get the word out about the day. You can click on individual treasury images and will be taken to the treasury on Etsy so you can view all the lovely items larger. Once you are over on the Etsy treasuries, you will be able to click on item images to be taken to the listing pages for the items if you want more info or to buy.